Smeg Freestanding Inverter Microwave with Grill. The addition of Inverter technology allows for cooking, reheating and defrosting at different power levels. Traditional microwave ovens only operate at full power, regardless of the power percentage selected. Defrost by weight or defrost by time. 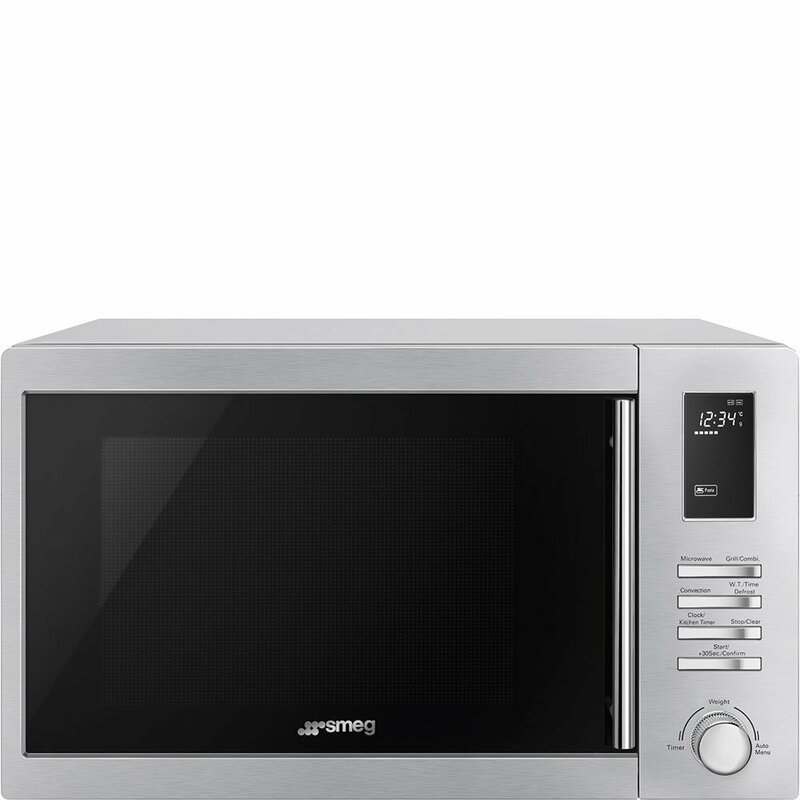 The Smeg SAM34XI Microwave was added to the Microwaves category in April 2017. The lowest price GetPrice has found for the Smeg SAM34XI Microwave in Australia is $448.00 from Appliances Online. Other merchants who stock it are Appliances Online, Billy Guyatts.